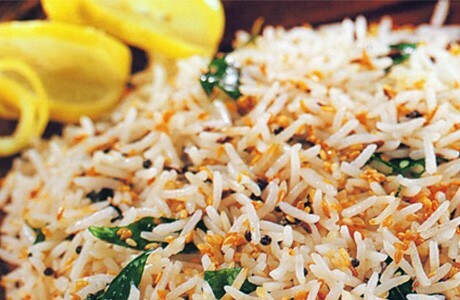 Sesame seeds add a nutty taste and a delicious crunch to the light, fluffy basmati rice. Curry leaves, sesame oil and both cumin and mustard seeds ensure this dish is full of authentic Indian flavours. Put the drained rice, water, and salt in a heavy pan. Bring to the boil. Reduce heat, cover the pan with a lid and cook until the rice is cooked and the water is absorbed. Keep warm and put aside. Heat the sesame oil in a saucepan; add the curry leaves, mustard seeds, and cumin seeds. Sauté until the leaves change colour and the mustard and cumin seeds crackle. Reduce heat and add sesame seeds; sauté until they are evenly golden brown. Add this seasoning with the lemon juice to the cooked rice. Mix well, taking care that the rice grains do not break.